Asia knows what's up - because bunny tights. Need I say more? It's another black and white outfit, my all time specialty! It was only natural that I'd pick out this oversized plaid button down from CN Direct. I've already spotted a fraying thread pop up, so sadly, it's not that impressive of a piece. However, I'm definitely going to be sporting it until it actually falls apart. Because guess what? It has POCKETS! The tights are freaking adorable, albeit a bit small for my larger-than-typical-Asian hips. To be safe, I like to put a pair of shorts on top that help hold them up. I didn't have a problem with them the whole day I wore this dress. Sometimes, you just gotta get clever with clothes to wear them! But seriously. Bunny tights that peek out perfectly from my knee high boots? I'm gonna be wearing them all fall/winter-long! People can't stop commenting/complimenting me on them. That's the fun in wearing a standout piece with a simple outfit. Gives it a whole new vibe! Hope you're first week of November is going well so far! Love love love that plaid shirt! Ahh, I love the mix of edgy and sweet in this look--it's so you! The checked shirt around your waist and your dark lipstick are the perfect touches. This post makes me want a pair of cute animal tights even more--I've always loved the fun cat ones. Also, your 21 Pilots concert experience sounds incredible! I've only been to two concerts before, and both were of artists I didn't like a ton, but I still know exactly what you mean when you describe the excitement, the adrenaline, the resonance. Hoping fall semester is going well--we're already over halfway through! I'm just realizing they are not part of the boot! HaHaHa They look great on you Linda! I love your plaid shirt! Fierce outfit girl! Totally loving those tights! 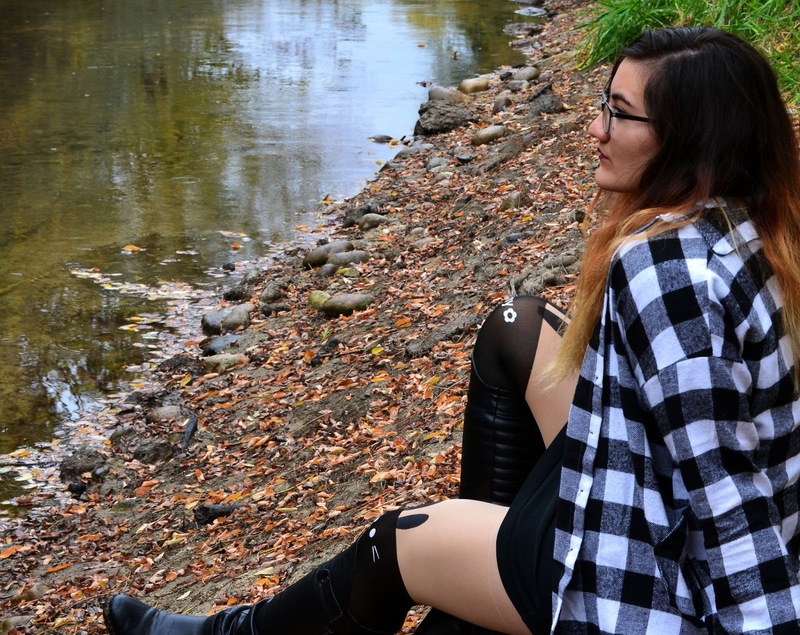 I also have some tights that are a little small on me (usually from my terrible laundry abilities...) and I wear biker shorts over them so they stay up :) Bummer the plaid isn't the best quality but like you said, you can still wear the heck outta it! Haha, the rabbit tights are so funny. 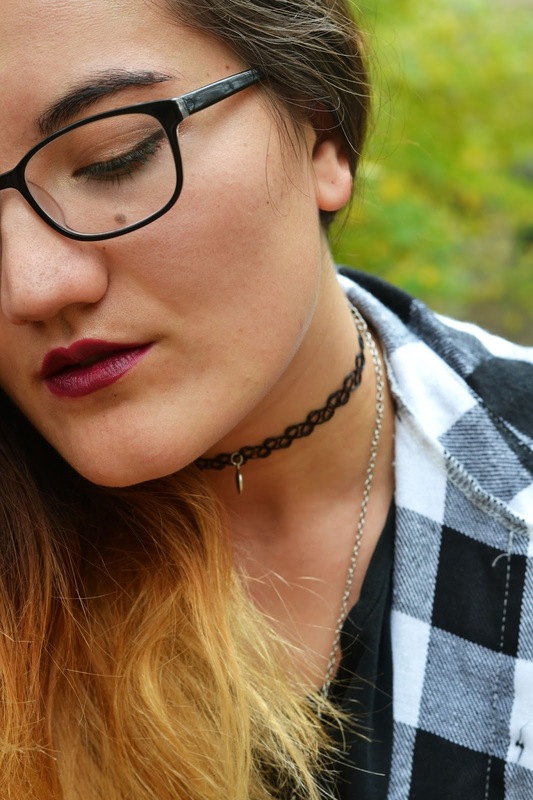 I like the contrast of cute bunnies and the grunge-y, '90s vibe from the choker, lipstick, and plaid. <3 I love you! Have a wonderful start to your November, too! Those are the best tights - even if you have to get creative to wear them, they are so cute and like you said so perfect with tall boots! I can never pull off a look like this! i'm so jealous of you right now! love your style. follow on gfc? This whole outfit is just perfection though, you look like such a cute 90s babe. 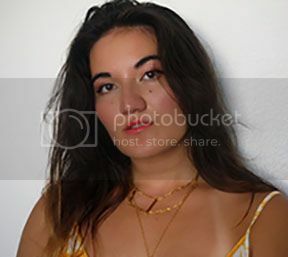 You're making those tattoo chokers look good again, it seems like a lot of the 90s styles really work for you, you do a good job of working them into your style and making them your own. My computer's been finicky about loading pages lately so I hadn't noticed your new header, the little dragon fruit going "raaaw!" is adorable! I really like the new look! Love the versatility of a plaid shirt ;)! The bunny tights are so cute and unexpected & they look great with the boots!